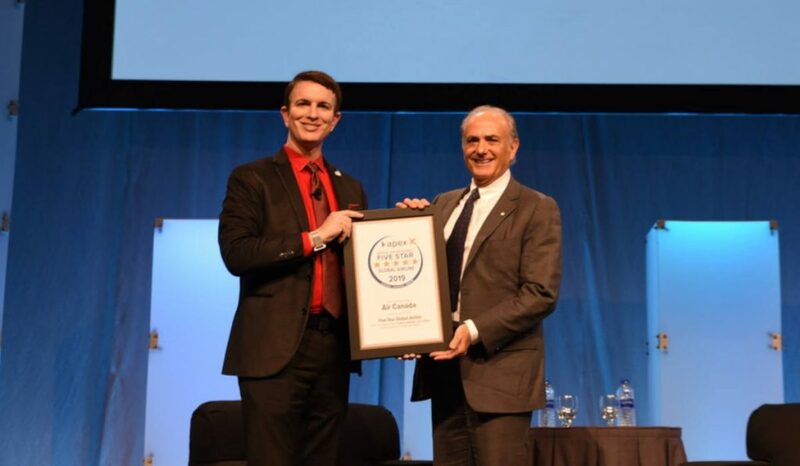 Air Canada president and CEO Calin Rovinescu was recognized with the CEO Lifetime Achievement Award at the Airline Passenger Experience Association (APEX) EXPO, which opened in Boston yesterday. He is the first CEO from the Americas to be presented with the award. APEX is an international association dedicated to enhancing passenger experience. In presenting the award, APEX cited Air Canada’s significant global expansion and many product enhancements during Rovinescu’s tenure, as well as the large investments made by the carrier to make its customer experience world-class. Leader continued to point to Rovinescu’s service over the past decade as chairman of the largest airline association in the world and also as chairman of the largest airline alliance in the world. At the award ceremony, Rovinescu also accepted APEX’s 2019 Five Star Official Airline Rating for Global Airlines Award. Air Canada is the only airline in Canada to be rated by APEX with a Five Star Global Award, which is based solely on customers’ verified feedback. In July, Rovinescu also won the Executive Leadership Award at the 2018 Airline Strategy Awards. Previously, he was named Canada’s Outstanding CEO of the Year (2016) and was selected by The Globe and Mail’s Report on Business as Canada’s Best CEO (2013). In June of 2018 he was named a Member of The Order of Canada. Air Canada is Canada’s largest domestic and international airline serving more than 220 airports on six continents. Canada’s flag carrier is among the 20 largest airlines in the world and in 2017 served more than 48 million customers.